The Krug Family plot is located in Loudon Park Cemetery. Hans Schuler, a prolific Baltimore artist, created the thoughtful angel atop the grave. There was a blacksmith or two in most 1800s Baltimore neighborhoods. After all, they made many of life’s essentials: horseshoes, nails, tools, blades, hinges, latches, keys, wheels and bells. Just one, G. Krug & Son Ironworks, still exists. The fifth generation of the Krug family operates in the original building on 415 W. Saratoga Street, near Lexington Market. Though the demand for items like horseshoes has slacked off, G. Krug and Son is still in the forefront of the custom-made iron work and restoration industry. The exterior of G. Krug and Son is largely unchanged today, though the city has grown up around it. Note the Bromo-Seltzer tower in the background of this drawing. When Gustav Krug, a German immigrant, came to work for A. Merker Blacksmith in 1858,he brought with him ironworking techniques that he learned in his homeland. Combining wrought and cast iron along with the German fondness for Victorian styles allowed the blacksmith to expand on the smaller items traditionally created by A. Merker Blacksmith. Soon the company became the go-to place for fencing, gates, and ornamental building iron for a growing city. By 1875, after Merker’s earlier death, the company’s name had become G. Krug & Son Ironworks. This city is filled with Krug ironwork. In fact, descendent Theodore F. Krug II once remarked “There is hardly a building in Baltimore that doesn’t contain something we made, even if it is only a nail.” Designs and creations by G. Krug and Son Ironworks can still be spotted in old sections of the Baltimore Zoo, Johns Hopkins Hospital, Walters Art Museum, the historic Mercantile Trust building, Otterbein Methodist Church, Green Mount Cemetery and on countless private homes and businesses. G. Krug and Son is the oldest continually-operated blacksmith in the country. Though some processes have been updated, Krug and Son still operates in the historic building that dates to the early 1800s. When possible, artisans still use century-old machinery and hammer work into the distinctive designs that have turned the company into a Baltimore legend. Blacksmith on hand at the G. Krug annual December open house demonstrate early and time-tested ironworking techniques. Handtools at G. Krug and Son Ironworks are still in regular use. Current owner Peter Krug, Gustav’s great-great grandson, has assembled several generations worth of drawings, photographs, antique metalwork and correspondence into the G. Krug and Son Ironworks Museum. Tours can be scheduled by contacting the company. They hold a holiday open house each year in December. 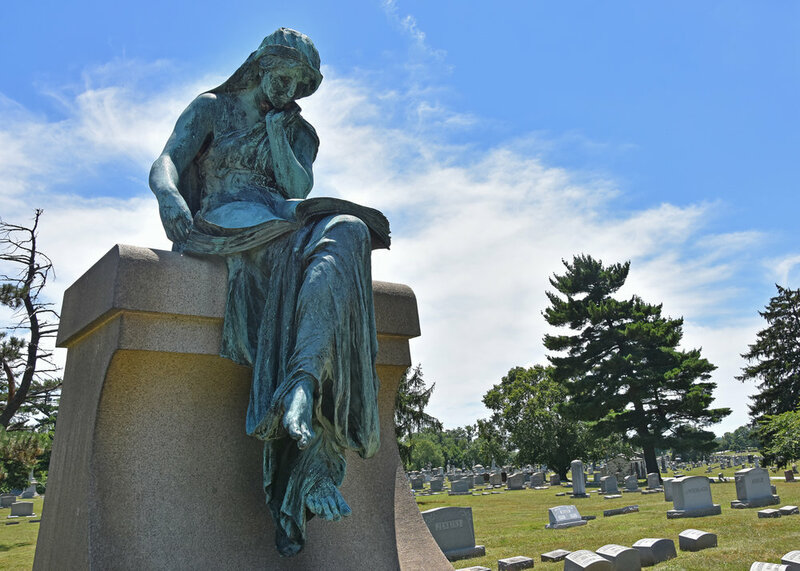 The Krug family plot is in Loudon Park Cemetery and is graced by a sculpture created by Hans Schuler, another Baltimorean who left lasting beauty in the city of Baltimore. Patrick Cutter, “G. 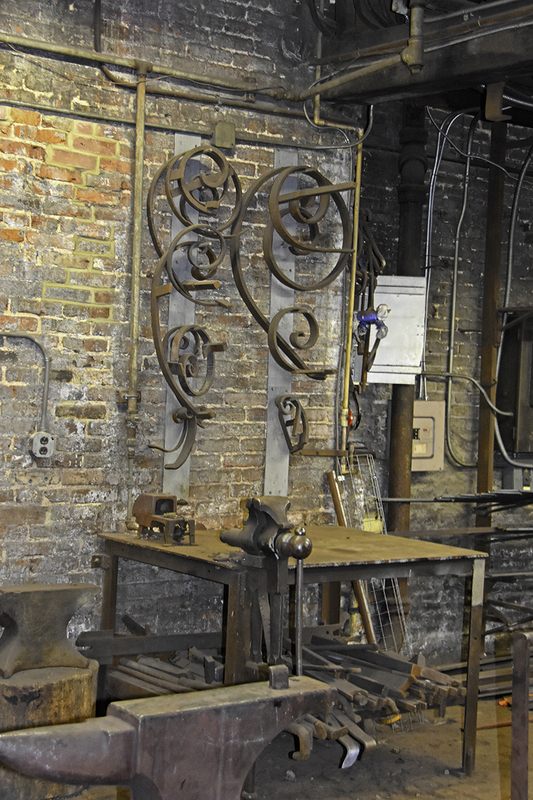 Krug & Son Ironworks and Museum,” Explore Baltimore Heritage, accessed January 24, 2019, https://explore.baltimoreheritage.org/items/show/161.